At DDF Automotive, we’ve been providing premium Rust Check rust protection to Barrie, ON and beyond for over 18 years. Rust Check has been Canada’s most effective and trusted rust proofing with millions of happy customers for over 40 years. With our unique 2-step application process - you’ll see the difference! For new vehicles, Rust Check soaks into the metal and prevents rust from the inside out. For older vehicles that have seen a few winters, Rust Check prevents existing rust from worsening and prevents new rust. Our Philosophy: "Spray it like you own it." For over 18 years now we've been oiling cars and trucks with this philosophy and it's why our customers keep coming back year after year. Come and experience the DDF difference. What Makes Rust Check So Effective? Rust Check is different from your average rustproofing. It's been tested and loved in Canada for over 40 years. What makes it so different is the unique 2-step process we use to spray each and every vehicle. In addition it has what we call "creep" factor. 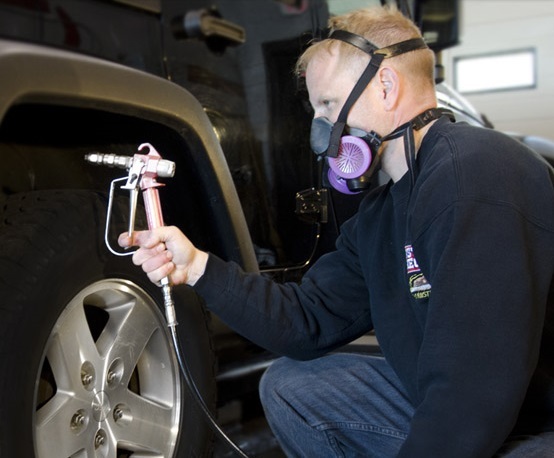 Once sprayed, the rust inhibitor creeps (or increases its surface area) throughout the panels of your vehicle. This means it gets into all the nooks and crannies where rust is more likely to start unlike other rustproofing products that stay right where they were sprayed. Ready to get your vehicle Rust Checked? There are hidden crevices and folds in the metal of your vehicle that moisture loves to collect in and from there, rust starts to develop. 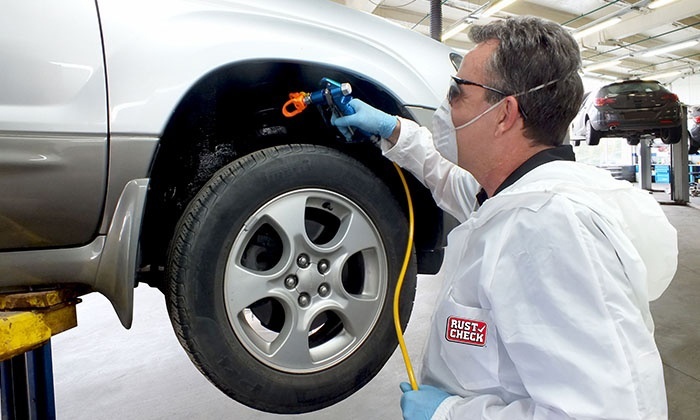 Rust Check Rust Inhibitor is a light oil-based liquid that we spray into all of the body panels using existing or drilled holes. It's designed to "creep" throughout the panels and soak into the metal, preventing rust effectively from the inside, out. Coat & Protect is a self-healing, non-drying undercarriage treatment. It's thick like Vaseline so you get an instant layer of protection from your very first treatment. Say no to that thin, drippy stuff. No more "building it up" over the years. It improves the look of the undercarriage not to mention lubricates as it protects.